West Bengal NTSE 2018 – 2019 for Class X: State Level National Talent Search Examination, for the students of class X or for those who appeared at the 10th level examination, through ODL mode is going to be held on November 18, 2018 (Sunday) in the different centers in the state of West Bengal. Directorate of School Education, West Bengal, Bikash Bhavan, 7th floor, Salt Lake City, Kolkata-700091 conducted the said examination. Latest: Merit list of 582 selected candidates of NTSE 2019 (State Level) has been released, scroll down to check the same. West Bengal NTSE 2018-19 will conduct by Government of West Bengal Directorate of School Education Bikash Bhawan,7th floor, Salt Lake City, Kolkata-700091 this year. This is a talent search examination conducted for class x students every year. This year the examination conducted on November 18, 2018 on various centers in West Bengal. Schedule for the West Bengal NTSE 2018-2019 is given below. Note: As per intimation of NCERT, New Delhi State quota has been enhanced 285 to 569. So the second list of selected candidates according to that quota will be published within April 10, 2019. So, candidates are requested to follow our website. It is to be noted that the date of NTS examination Stage-II will be held on May 12, 2019. Click here to check the merit list of 582 selected candidates of NTSE 2019 (State Level). Click here to check the merit list for NTSE for Class-X (State Level) 2019. Final Answer Key for West Bengal NTSE 2018-2019 is available now. Candidates who have appeared in the NTSE Exam can find the link for WB NTSE 2018-19 Answer Key below. Note: Candidates who appeared in Bengal NMMS 2018 can submit there feedback regarding answer key within November 30, 2018, through email i.e. [email protected] Any feedback after due date will not be considered. Click Here to check the West Bengal NTSE 2018-19 Answer Key. Click Here to check notice regarding West Bengal NTSE 2018 Answer Key. Admit Card for West Bengal NTSE 2018 will be published, and candidates can download it from the link which will be given below or from the official website. If any problem occurs kindly contact the concerned office of the District Inspector of Schools (SE) till November 16, 2018. Application Form of West Bengal NTSE 2018 – 2019 is now available at the official website. Candidates have to fill their Application form online on or before the last date of application form. The direct link to fill the application form is also be given below. Note: The applicants of NTSE 2019 are requested to follow their registered e-mail and sms and their profile in scholarship portal using their registration no. and password regularly as the candidates who will be rejected with unlock will get an opportunity to edit and finalise their applications within the last date. Step 1 : Click on the ‘New User Register Here’ link and fill up the personal details along with one Mobile number (a Mobile number and email Id used once, could not be used the second time for registration) and register. A registration number will be generated which should be noted down along with the password given to log in to the system in future. Log in to your account using registration number and password. Edit the form and fill in other details and upload scanned copy of your passport size photograph. The image file for photograph should be in .jpeg/jpg format and maximum size limit is 20KB. Save the form. The form may be edited in till it is locked by you. Once the form is filled in with correct particulars and complete in all respect, the same should be locked. A printout of the filled-in application along with the format for Certificate from the Head of the School/Institution (HOI) should be taken out. -duly signed by the concerned School Authority latest by last week of August 2018. The maximum size of the scanned document(s) should be 100KB. Caste Certificate and Disability Certificate(s) are required only for the SC/ST and Physically Disabled candidates respectively. The application submission is complete only when the Certificate from HOI and other required documents are uploaded, else the candidature of the applicant will be canceled. The candidature of the applicant may be canceled at any stage of the examination process without any reference if any false/incorrect information is found in the filled-in application form of the said candidate. Further application form with incomplete/irrelevant information/ photograph/ scanned certificates is liable to be summarily rejected. Notification for downloading Online Admit Card will be notified on Notice Section. Please visit scholarship portal for the same and any further information relating the examination. Students of class X of any affiliated and recognized school under W.B.B.S.E. / W.B.B.M.E. / I.C.S.E. / C.B.S.E in West Bengal securing 50% and above marks (40% and above marks for S.C/S.T/Physically Disabled Candidates) in the final examination of class IX are eligible to appear at State level NTSE, 2019. Students who have registered under Open Distance Learning (ODL) under NIOS / West Bengal Council of Rabindra Open Schooling and secured 50% and above marks in the pre-10th level examination (40% and above marks for SC/ST/Physically Disabled Candidates) will also be eligible to appear at the examination provided the student is below the age of 18 years, the student is not employed and he/she will appear at class 10th level examination for the first time. In case of Study Centres under ODL mode, the Coordinator or Authorized person shall authenticate the required particulars of the candidates mentioning approval number, code etc. of the Study Centre. There is no income bar in applying for this scholarship. The government does not charge any fee for this examination. Further newly created districts are Purba Burdwan (Sub-Division:- Katwa, Kalna, Burdwan Sadar North, Burdwan Sadar South), Paschim Burdwan (comprising of Asansol and Durgapur subdivisions), Kalimpong (comprising of Kalimpong sub-division), Jhargram (comprising of Jhargram sub-division). There are two newly created subdivisions i.e Jhalda in Purulia district and Mirik in Darjeeling district. If the candidate is studying in any school under the Jurisdiction of BARRACKPORE or BIDHANNAGAR Administrative Sub-division in that event, he/she must choose BARRACKPORE as district instead of NORTH 24 PARGANAS or KOLKATA. If the candidate is studying in any school under SILIGURI Administrative Sub-division in that event, he/she must choose SILIGURI as district instead of DARJEELING. Applicant should opt for the district in which he/she actually resides within the administrative jurisdiction of the respective district. Question Paper for West Bengal NTSE 2017-2018 is available now. Candidates can find the link for WB NTSE 2017 Question from below. Click Here to check the West Bengal NNTSE 2017-18 Question Paper. Official Answer Key for West Bengal NTSE 2017-2018 is available now. Candidates who have appeared in the NTSE Exam can find the link for WB NTSE 2017 Answer Key below. Click Here to check final answer key (only changed answers). Note: All appeared candidates of NTSE, 2018 are requested to give their feedback regarding answer keys of the said examination within November 19, 2017 through e-mail in help [email protected] Any feedback after November 19, 2017 will not be entertained. West Bengal NTSE 2016-17 examination was held on 13 Nov 2016 and now the Result for the same has been published. 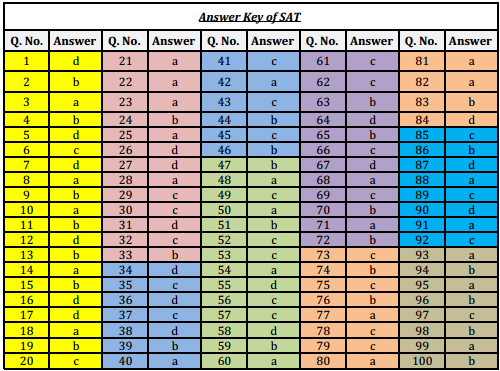 Candidates can check the answer key which is provided below. West Bengal NTSE 2016-17 examination was held on 13 Nov 2016 and now the Official Answer key for the same has been published. Candidates can check the answer key which is provided below. Note : All appeared candidates of NTSE, 2017 (State level) are requested to give their feedback regarding answer keys of examinations within 27 Nov 2016 through e-mail in [email protected] Any feedback after 27 Nov 2016 will not be entertained. For more details on West Bengal NTSE 2018 – 2019, download Notification | User Manual. 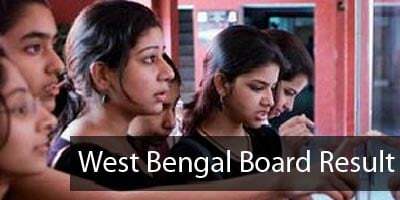 West Bengal Madhyamik Exam Routine 2019 – Released!